A visit to the south-eastern part of India will give you some memories which you can cherish for years to come. They are preferred by numerous tourists for their scenic beauty and historical significance. One of the states whose popularity is gradually enhancing is Odisha. It is not only famous for Rath Yatra but numerous festivals are held throughout the year. If you have already finalised your decision to visit Odisha, there are numerous travel agencies offering Odisha tour packages at affordable prices. Choose one within your budget and enjoy the beauty offered by the place. If you are one of the travellers who enjoy sightseeing, include a trip to the ancient caves in your trip itinerary. If you are interested in the historical importance of a place, visit Odisha and get the opportunity of enjoying the rich heritage of the Kalinga architecture. There are numerous temples scattered all over the state where you can see ancient architectural works. Bhubaneswar is known as the ‘temple city’ as it is the hub of around 500 temples. Every tourist visiting Puri expresses the desire of visiting the famous Jagannath temple to gain the blessings of Lord Jagannath. This mighty historical structure was built years ago. If you think that Morjim, Baga or Anjuna are the only beautiful beaches in India, opt for an Odisha tour package and visit the Puri-Konark marine drive. If you love long romantic drives or racing your car, use the long stretches of beach. 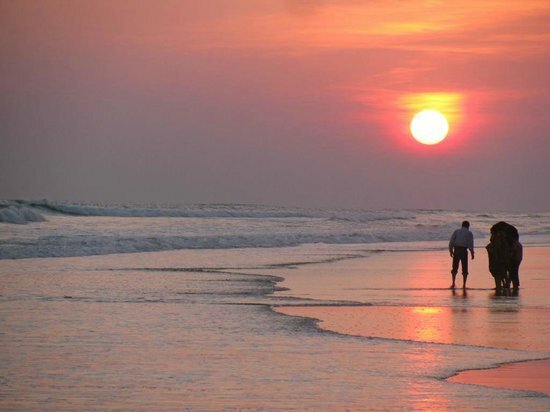 The number of tourists visiting the Puri and Chandrabaga beaches is gradually enhancing. If luck favours, you might even catch a glimpse of the famous sand artist Sudarshan Pattnaik working on one of those beaches. You can also enjoy the receding sea of Chadipur by walking on its seabed. If you are a foodie, visit Odisha at least once in your life as the Odias are too. Whether you have a love for tangy, sweet or spicy dishes, they can cater to all. Few of the dishes you can expect to enjoy during your trip include idli-dosa, puri-aloo dum, dahi-bara, parathas, pithas, dalma and chenapodas, to name a few. If you are willing to treat your taste buds with some traditional dessert, ask your tour operator where you can get the best chenna jhili, mudhi-mansa, Dhenkanal bara, paalua laddu and rasagolla. If you love shopping, choose one of the Odisha Tour Packages from Kolkata within your budget and buy some beautiful handicraft products available all over the state. The pattachitra artisans residing in Raghurajpur are quite famous for their unique pieces of art. Their silver filigree, appliqué work, handloom weaving and dhokra casting are also renowned all over India. Buy a beautiful silk saree from Berhampuri and bring home Odisha’s rich cultural heritage. Since Odisha has so much to offer, it’s time to approach a reliable travel agency and plan your next vacation.